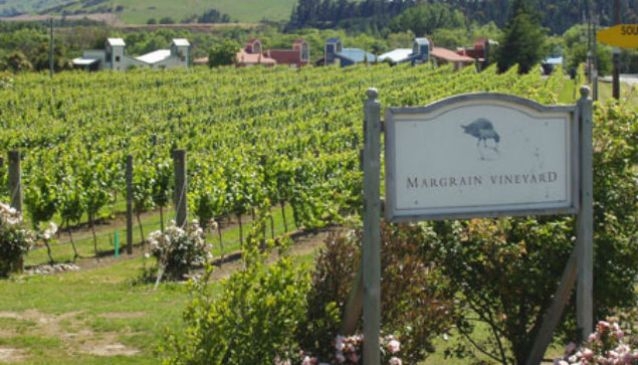 Set up in 1992 by Graham and Daryl Margrain, Margrain Vineyards has earned a reputation for delivering a wide choice of quality wines that exude complexity and charm. Guests are welcome to $5 Wine Tastings which is refunded when you purchase. The Margrain wine selection includes the Home Block Pinot Noir, Chardonnay, Riesling, Rose, Sauvignon Blanc, Pinot Gris and Chenin Blanc. Accommodation is also available on site with 14 beautiful villas and the Pinot Suite.